Before I start with the main point of todays blog ‘Triple Threat Fat Attack’ I just wanted to start by saying a huge thank you to everyone who has continued to follow and support both myself and Why Weight Ireland. 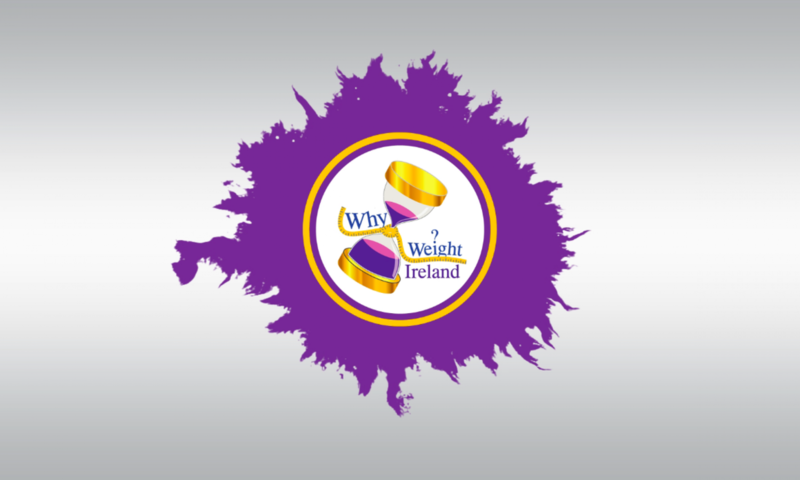 As I announced on our Facebook Page, I found out on Saturday evening that Why Weight Ireland had been named as one of the finalists in the Blog Awards Ireland! I was absolutely thrilled to have been shortlisted a few weeks ago, so to have been taken to the next stage and named as a finalist I am over the moon! I’m really looking forward to be heading to my first Awards Ceremony on October 13th and to be among so many amazing people. In all honestly a few years ago I would never in a million years thought I could be doing all of this. Completely re-training, setting up my own business from scratch while being a full time mother and wife was something that had never even crossed my mind! The blogging side of things was also something I’d never really thought about doing. I had always kept a diary growing up so writing my thoughts out on paper was something I had enjoyed doing – but never for public viewing! During the Spartan Challenge 2011, blogging was part of the challenge and it was here where I blogged every single day for the 18 weeks leading up to my first Dublin Marathon and got bitten by the bug. When I set up Why Weight Ireland the blogging came into my mind again and I thought that it would be really useful to have a site that both members and non-members could get some motivation, encouragement and could pick up useful and valuable information to help them achieve their goals as I had achieved mine and they could definitely do this through the blogs. I had several people (complete strangers!) who had written to me to tell me how they had enjoyed my blogs from the Spartan Challenge – so I thought to hell with it, why not blog for Why Weight Ireland?! And I suppose – that brings me to now! A nominated then shortlisted and now FINALIST for the Blog Awards Ireland, nominated in the Eircom Spider Awards, The SFA National Small Business Awards and the Irish Web Awards! Really the last few years has been a whirlwind – I suppose if anything from this I can say, if you want to change, just get out there and grab it with both hands, make it happen! You don’t have to be dreaming of what “could” be – sometimes things that seem like they would never be possible actually ARE, you just have to keep going and every day you keep trying, is another step closer! Thanks again to everyone and before I continue to waffle on any longer here is my blog on your ‘Triple Threat Fat Attack‘! Losing weight and getting fit go hand in hand – doing one without the other is a sure fire way to make your weight loss journey a much more taxing one! So get these 3 steps combined together to blast your body with the Triple Threat Fat Attack!!! DIET! I’m talking about food here! Making sure you are eating the correct amount of calories and making the correct choices to keep your fat within the daily allowance too, to make sure your body can start to shed some of those unwanted pounds. Your daily food allowance is personal depending on your weight, height, age, gender & activity – and it is important to not only make sure you are staying within your calorie range, but also to make sure you are eating ENOUGH! Many people will go through a cycle of “dieting” by severely cutting down their calorie allowance, to a point where they are maybe not eating enough. The body can actually have the reverse effect here and slow the metabolism making the weight loss slower! These periods of cutting the food portions drastically are also much more likely to make you mentally tired and drained and this can lead to “falling off the wagon” some short time later. Avoid letting the “starvation mode” set in by making sure you are eating within your calorie range, and also healthy snacking ‘little and often” to keep your metabolism BURNING!!! BLAST THAT FAT! CARDIO! We’re talking moderate intensity exercise that gets your body right into that Fat Burning Zone! When we get the heart rate up for a long and steady duration this is best for burning fat. After 20 minutes of elevated heart rate our body then moves into that magical fat burning zone! So keep the legs moving every chance you get – the more you move the more you burn! If you are not used to exercising build it up gradually by adding in brisk walks. Make extra steps each day by taking the stairs instead of the lift or going on a quick walk on your lunch break around the block! Buying a pedometer is a really cheap, quick and easy way of encouraging a little extra activity each day – every day just make sure you do an extra few steps than the day before! Resistance / Weights! Now this can sound a little scary, especially to the ladies who are maybe a little scared of turning into the incredible hulk! But rest assured, using some light resistance (weights) will not make you bulk-like-the-hulk. Using light weights and repeating the movements many times will help you to tone and shape your body while you lose weight. It will give you that definition that you want and help to nip and tuck all those little bits but without any bulging biceps! To actually gain those bulky muscles you would need to do a serious amount of lifting heavy weights and work using specific routines and a strength programme. 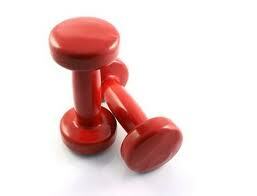 Using these weights and improving your muscle tone is another important step in your weight loss journey. The more muscle you have, the more fat you burn. So building a little extra muscle is a fantastic way to both help you LOSE the weight in the first place as it increases the amount of calories your own body burns each day and also a great way to MAINTAIN your weight, again – even when you are sitting down doing nothing, the more muscle you have the more you burn! And there it is! Your Triple Threat Fat Attack! Do a little of each of these each day, take one day at a time and say HELLOOOOOO to your fab new body!